War Medal, Canadian Volunteer Service Medal + clasp. WIFE: Mrs. Ruth May Jamieson – Toronto – Ontario. PARENTS: Mr. James and Rebeca Jamieson – Ayton – Ontario. SON: Master Robert Jamieson – Toronto – Ontario. SISTER: Mrs. R. McVay – Acton – Ontario. CEMETERY: Langenoord Cemetery – Netherlands. James took his primary education in Toronto and graduated from Grade 8. He also took 1year of high school and then left school. He then took 3 years of schooling at a Technical School and took drafting and mechanics. March 2, 1943 – to No. 2 District Depot to Intelligence (Reserve) B Wing 7 Company in Toronto – Ontario. March 19, 1943 – to No. 20 Canadian Army Basic Training Centre in Brantford – Ontario. March 20, 1943 – to No. 10 Canadian Infantry Training Centre at Camp Borden – Ontario. June 2, 1943 – Basic Training completed at No. 20 Canadian Army Basic Training Centre in Brantford – Ontario to No. 10 Basic Army Training Centre in Kitchener – Ontario. August 2, 1943 – granted 4 days leave until August 6, 1943. August 14, 1943 – to No. 14 Canadian Infantry Training Centre in Aldershot – Nova Scotia. September 13, 1943 – completed test of Elementary Training at No. 5 Canadian Infantry Reserve Unit. September 14, 1943 – Departed Canadian shores for overseas. September 19, 1943 – Arrived in the United Kingdom. September 20, 1943 – to No. 5 Canadian Infantry Reserve Unit. November 5, 1943 – to No. 1 Canadian Infantry Reserve Unit. March 2, 1944 – granted 9 days leave. March 14, 1944 – to No. 5 Canadian Infantry Reserve Unit. March 15, 1944 – to No. 1 Canadian Infantry Reserve Unit. March 25, 1944 0 Departed United Kingdom. April 9, 1944 - arrived in the Italian theatre of war. Taken on Strength with the Carleton and York Regiment. 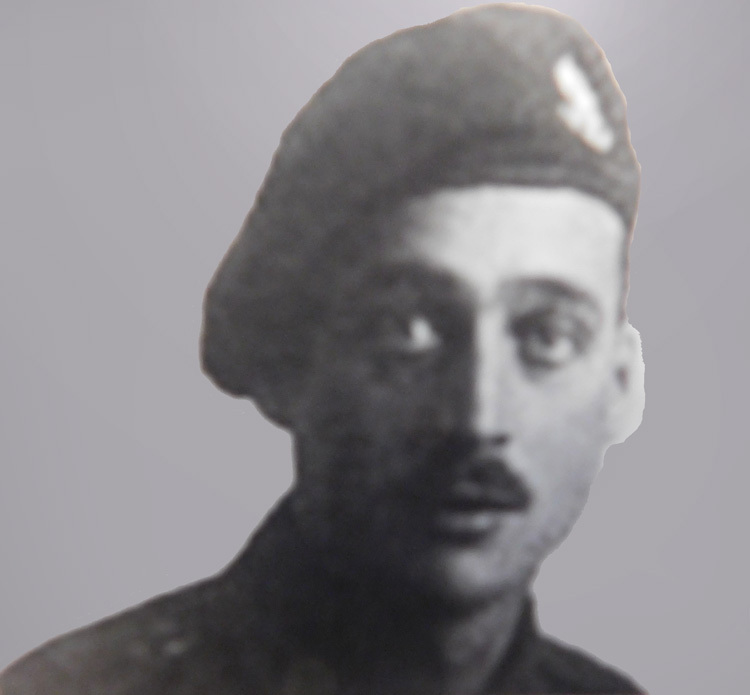 May 27, 1944 – Struck off Strength from the Carleton and York Regiment – Italy. May 29, 1944 – Taken on Strength to the Carleton and York Regiment – Italy. 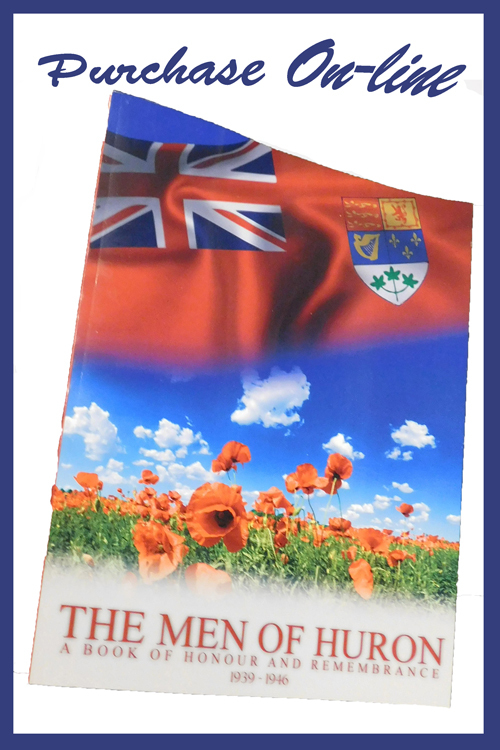 This researcher cannot tell from his service file if Private Jamieson spent time in the Reserve Regiments in Italy or if he took part in the fighting. If he did take part in the fighting he could have been involved in such battles as Cassini II, the Gustav Line, the Liri Valley, The Hitler Line, the Melta Crossing, the Gothic Line, the Rimini Line, San Fortunato, the Lamone Crossing and the Naviglio Canal. 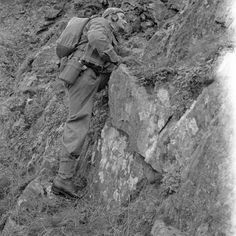 June 23, 1944 – qualified as an Infantry Signaller “C”” – Italy. OPERATION GOLDFLAKE was now beginning. March 16, 1945 – Departs Italy. March 18, 1945 – Arrives in Marseilles – France. Once in Marseilles I Canadian Corps (men, equipment, guns, tanks, Signals, Medical and everything else) loaded onto convoys and in five days drove through France, Belgium and then into the Netherlands in preparation for the final push into Nazi Germany. 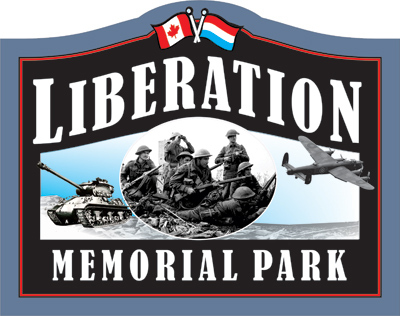 The Carleton and York Regiment had arrived in the village of Hoogland on April 20, 1945 and had come by two different roads from the village of Nijerke area. The people of Hoogland opened their homes to the men of the Regiment. On the 21st of April, patrols were sent out under cloudy and rainy skies. 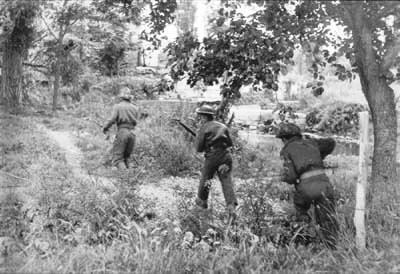 A platoon from “A” Company with carriers and anti-tank guns helped to clear out wooded areas to the west of Nijkerk where the Royal 22nd Regiment was having difficulty clearing out 200 enemy soldiers. Later that evening “D” Company set up an ambush patrol in those same woods and in the morning they joined the forward platoon from “A” Company in the area of the woods. As well during the evening hours the Regiment moved forward and tried to bypass enemy resistance points but even so there was considerable opposition from road blocks, small arms fire and self propelled guns. Late in the evening they were in a position on the approached to the Eem River north-west of Amersfoot. From the research done it is felt that Private Jamieson was a member of either “C” or “D” Company. April 22, 1945 was cloudy and cool during the morning but as the day continued the weather became more dull with rain and into the evening it was cold. At 9:11 am – “D” Company reported that they were taking fire from enemy bazookas. By 2 pm “B” Company had relieved “D” Company. The Regiment was then ordered to clear the area to the Eem River. “D” Company began to consolidate. “C” Company was close to the river and following a road. “A” Company was clearing out nearby woods. “B” Company began to move forward with a Troop of tanks and two anti-tank guns and “C” Was supposed to pass through. 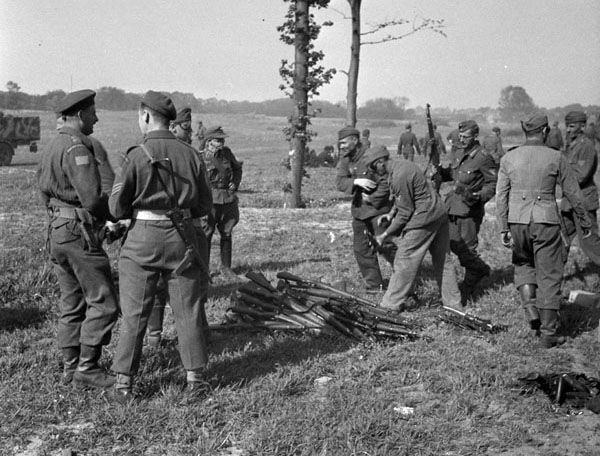 At 5:12 pm - a large number of enemy troops were discovered in the axis of “B’ Company. At 5:16 pm - both “A” and “B” began to move. At 7:35 pm – “C” Company came under heavy attack from enemy machine gun fire and were encountering road blocks. Later in the evening at 10:17 pm the Regiment began to move forward to get closer to the canal and while doing so they met heavy enemy resistance and the result now was the left flank was now open and totally exposed. The Regiment was located at this point south-west of Nijerke and very close to Langenoord. It is felt that this is the area where Private Jamieson fell as he was buried at Langenoord. Private Jamieson’s wife received a letter dated May 5, 1945 from Major – General A. E. Walford per the Adjutant General expressing condolences on the death of her husband as he was serving his country in the North – West Europe theatre of war. As well the letter states that the Minister of Defence and the Army Board send their sympathies. Mrs. Jamieson received a letter dated July 26, 1946 informing her that her husband Private Jamieson had been reverently reburied with honours and rites at Groesbeek Canadian War Cemetery. She was also invited to send a short personal message that could be engraves on the headstone. This letter was from the Director of Records, Colonel C. L. Laurin per the Adjutant General. James had a life Insurance Policy with London Life. The War Service Gratuity was $455.51 while his last pay was $176.36. 6 post cards, 1 New Testament, 1 folder with snapshots, 1 fascist symbol, 1 leather wallet, 1 ID bracelet.